The kitchen is the biggest selling point in a home. If it looks tastefully put out, then there is always the assurance of thousands or even tens of thousands of dollars over the original asking price of the whole residence. There could however be the chance that the owner does not want or need to sell; they just crave a great looking kitchen from which to cook meals and have friends over. Others simply want a statement kitchen that appeals to family and friends. Whichever way, a new kitchen cabinet design is always a great idea that any homeowner should embrace. This is because it gives a kitchen that new look and a sense of space that did not exist before. 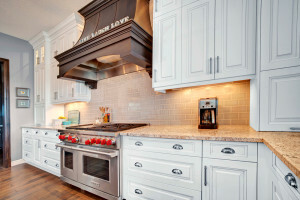 Bow Valley Kitchens has emerged as one of the undisputed kings of cabinet design and this is due to a number of reasons. To become known for having a good reputation and having experienced staff is a hard task, but Bow Valley Kitchens has done exactly that. Getting this right depends on the level of experience within the ranks of any company. If it is crawling with rookies, then any cabinet design projects undertaken will have inexperience written all over. Bow Valley Kitchens has been around for much longer than other companies in the region and knows precisely what needs to be done. Much as Bow Valley Kitchen wants to do its work independently, there is always a consideration for what the client has in mind and it is always a priority. There is an understanding of the fact that everyone needs his or her cabinets to stay unique and mean something deeply personal. This is why the homeowner has the flexibility to choose what the cabinets will look like, and/or what the cabinet is made of. At the end, a decision is made on what ideas to adopt or drop, again with the say-so of the owner. Most clients will stay away from kitchen design companies because of a fear of the concept of cost. They feel that any outlay geared towards custom kitchen designs might be prohibitive. Nothing could be further from the truth. With the right company, adjustments can be made depending on the figure a homeowner has in mind. New kitchen cabinet design projects tend to drag out with most companies. However, Bow Valley Kitchens has a penchant for doing things in record time without compromising the quality of projects undertaken.